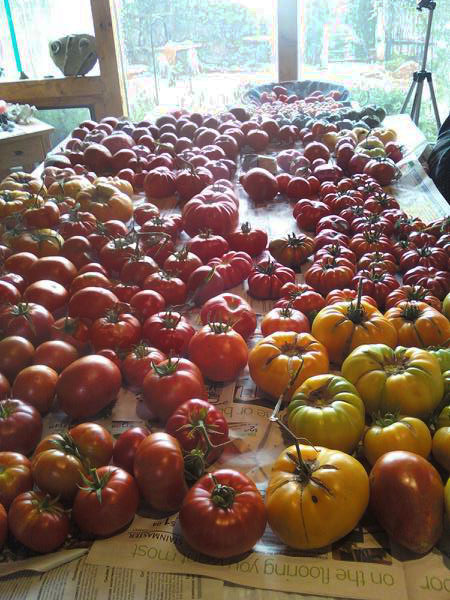 There must be 500 lbs of tomatoes all over the house in different states of ripeness now. Little paths throughout the house to walk around! With all the freeze scares each day for the nights, I went out and picked almost all the tomatoes that can finish ripening. I started picking hard on Wednesday and then my good friend Mernie came over and helped picked the rest on Thursday and Friday. 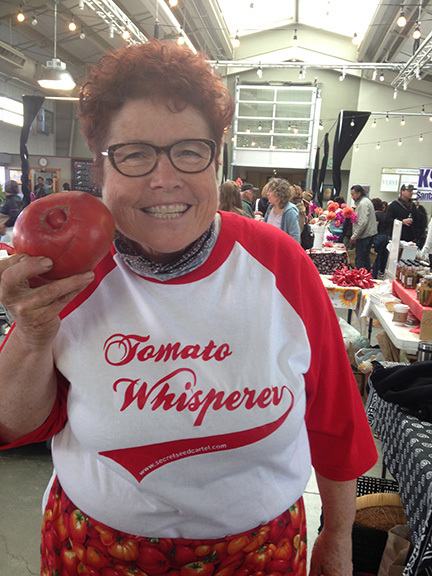 On Saturday I had one of my best days ever at the Farmers Market as “The Tomato Lady’. 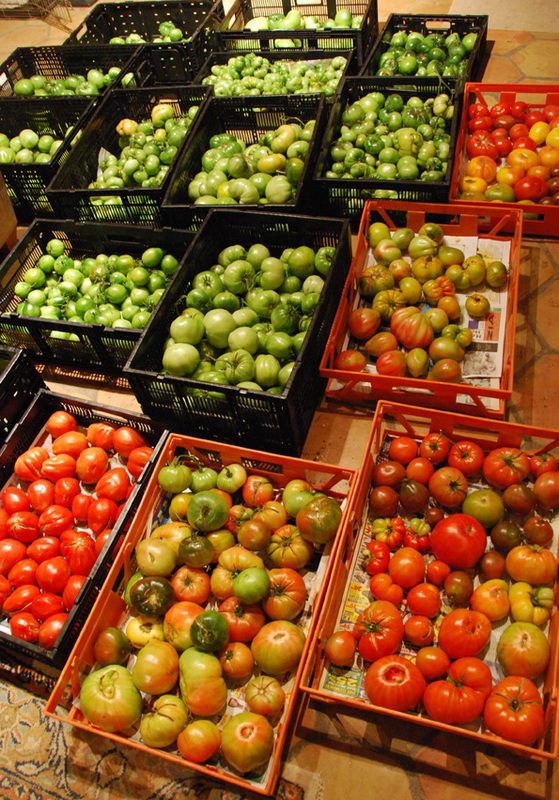 It has been cold and had rained in Santa Fe and snowing on our mountain and I think everyone started thinking OMG- the tomato season is almost over! It was like a shark frenzy. My patrons didn’t want anything else-only tomatoes. I completely sold out. Now I just have to manage the remaining tomatoes in the house to make sure they ripen nicely. While I’m gone on Saturday at the giant pumpkin weigh-off, Caleb will be ‘The Tomato Lady’ again and then I will be back the following Saturday! This entry was posted in 'THE TOMATO LADY', general, TOMATOES and tagged end of season tomatoes, farmers markets, growing tomatoes, harvesting tomatoes, Santa Fe Farmer's Market, tomato.